Metal Texture: Metal design gives you a special touch and makes the headphones stylish and attractive. Folding Design: Make It Convenient to Carry.The Folding Part Have Been Tested for over 20000 Times. Soft Earmuff: The Use of Protein Genuine Leather Earmuff, Make It Comfortable for Long Time Wearing. In Line microphone:The 360 Degree Pickup Microphone Make It Have High-definition Voice Calls. Answer Phone Calls, Pause/play Music, Support with Switch of Previous/next Songs. Strong Compatibility:Compatible with All Android Phones, IOS, Winphone and Blackberry System Phones with 3.5mm jack. 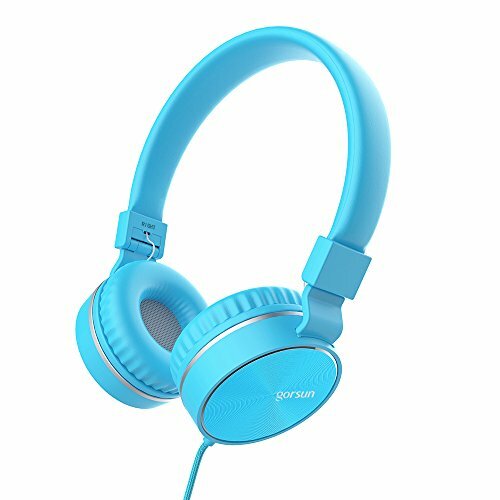 Metal Texture: Metal design gives you a special touch and makes the headphones stylish and attractive. Folding Design: Make It Convenient to Carry.The Folding Part Have Been Tested for over 20000 Times. Soft Earmuff: The Use of Protein Genuine Leather Earmuff, Make It Comfortable for Long Time Wearing. In Line microphone:The 360 Degree Pickup Microphone Make It Have High-definition Voice Calls. Answer/end Phone Calls, Pause/play Music, Support with Switch of Previous/next Songs. Strong Compatibility:Compatible with All Android Phones, IOS, Winphone and Blackberry System Phones with 3.5mm jack. If you have any questions about this product by gorsun, contact us by completing and submitting the form below. If you are looking for a specif part number, please include it with your message.